Rhinoplasty, sometimes called a “nose job” or “nose reshaping” by patients, is a surgical procedure that reshapes or resizes the nose for health or cosmetic reasons. 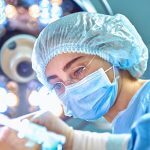 Due to its status as a well researched, regulated, and safe procedure, it is the third most common plastic surgery procedure in the United States. According to data collected by the American Society of Plastic Surgeons (ASPS) there were 217,979 rhinoplasty surgeries performed in 2015, accounting for about 13 percent of the year’s plastic surgery procedures. Both revision rhinoplasty surgery and the initial rhinoplasty procedure can be used to resolve health problems, such as correcting impaired breathing caused by the structure of the nose. Rhinoplasty is also used to resolve aesthetic problems by enhancing the harmony of the face’s lines and balancing the proportions of the nose. Open rhinoplasty is performed after an incision is made in the columella (the delicate tissue that separates the nostrils). This allows the surgeon greater access to the tissue throughout the nose. Because it allows increased visibility of the nasal tissue during the operation, an open rhinoplasty is easier for the surgeon to perform. Another advantage to having an open rhinoplasty is that it can also allow for more dramatic revision of the shape and proportion of the nose. The open technique does sometimes lead to more noticeable scarring than the closed rhinoplasty technique. Recovery after rhinoplasty using the open technique can also be more unpredictable and prone to complications than closed rhinoplasty recovery. On the other hand, open rhinoplasty can actually be less traumatic to the nose because the technique gives the surgeon more room to work and requires less modification to other internal nasal structures. Closed rhinoplasty involves performing the surgery entirely inside the nose without interfering with the columella. An internal procedure prevents visible scars from showing, so it is more favorable to patients seeking a more subtle transformation with less intrusive techniques. The closed rhinoplasty technique does require a facial surgeon with more experience and precision than its counterpart, the open rhinoplasty. 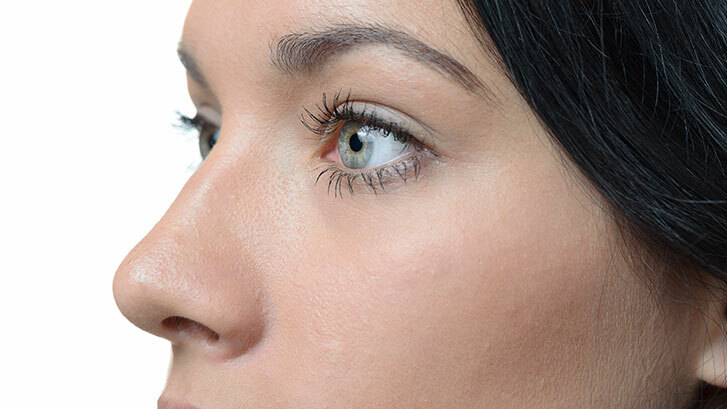 Although the closed rhinoplasty technique does result in minimal scarring, which is inside the nose and therefore not visible, it is also limited in the scope of the revisions it can make to the nose. Closed rhinoplasty recovery time can be easier and more predictable than recovery following rhinoplasty performed with the open technique, but it can also be more traumatic if a surgeon is indelicate or tries to make revisions that are too significant. 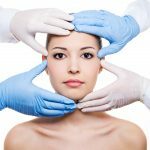 Cosmetic surgery procedures of today are so medically advanced that they bear little to no resemblance to the techniques that gave birth to the field of rhinoplasty. Believe it or not, the first nose job was performed over 2,500 years ago on the subcontinent of India. It was achieved by removing a portion of flesh from the patient’s face and using this biomaterial to form a new nose. About 20 centuries later, Europeans tried their hand at reimagining the human nose. Rampant warfare had left soldiers disfigured by the thousands, so medical experts of the time decided to engineer a prototypical grafting technique. It required the patient to keep his or her face pressed up against the upper region of the arm, allowing the skin around the new facial feature to re-grow. This process took a staggering three weeks of time, demanding an unimaginable level of stasis and contortion on the part of the recipient. After this initial phase of grafting, another two weeks was necessary to heal and reshape the flap of skin that was the patient’s de facto new nose. These early examples would be considered the ultimate in “open rhinoplasty” since they greatly altered the skin around the nose (and elsewhere on the body) to create drastically new facial protrusions for these rudimentary test cases. Luckily, technology and health sciences have made quantum leaps in the years since those dark old days. Instead of looking outward for tissue to replace the nose, skilled surgeons can utilize the flesh within it to craft a whole new look via closed rhinoplasty methods. Hence, you now have the benefit of extensive research, experience, and options as you approach the myriad possibilities for your impending rhinoplasty procedure. Is Open or Closed Rhinoplasty Best for Me? Each rhinoplasty candidate is unique, so it is impossible to generalize and make a categorical statement about which rhinoplasty technique is better for all or even most patients. Health is never a “one size fits all” endeavor, so you should consult with a trusted physician before taking any definitive action. Generally speaking, closed rhinoplasty is typically preferred because of the easier recovery process and the minimal, hidden scars, but there are numerous situations in which an open technique may be better for the patient. Because it allows for more significant nasal revisions, open rhinoplasty may be preferable for candidates who are seeking a dramatic change, or who need dramatic reconstruction. A skilled plastic surgeon will still be able to minimize scar tissue and the appearance of scars following an open rhinoplasty. A patient who is only seeking a slight revision, or revisions that are concentrated on the bridge of the nose, and little to revisions desired for the tip of the nose, may be recommended to undergo the more subtle changes of a closed rhinoplasty operation. 98 patients underwent open rhinoplasty procedures in a given time period. Of those 98 subjects, only two required revision rhinoplasties, indicating that the open method allowed the surgeon to successfully operate without the hindrance of a closed approach. And in terms of scarring, the incision mark along the columella was virtually invisible on all of the patients involved in the study within weeks of the date of their respective procedures. Now that you have considered whether or not rhinoplasty is right for you, let’s ask an even more important question: who is the right doctor for your specific needs? Your facial surgeon must exude a trustworthiness so that you can ask him or her anything that’s on your mind before you set foot in the exam room. This individual can help you determine which technique is best for your rhinoplasty procedure during your initial consultation. It’s important to clearly communicate your expectations for the results of your rhinoplasty surgery and share your complete health history, including dental history, with your plastic surgeon, so that they can choose the best technique for your health and goals. It is therefore essential that you choose the right plastic surgeon for your rhinoplasty procedure in particular so that you can be confident in your results. A plastic surgeon who is skilled and experienced, especially in rhinoplasty, is the difference between glamorous plastic surgery results and a tragic plastic surgery horror story. If possible, patients should seek out a plastic surgeon who specializes in facial plastic surgeries like rhinoplasty. 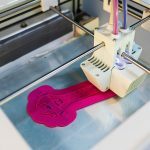 He is double board certified and has 10 U.S. and global patents on medical and surgical devices and pharmaceuticals and is extensively published across various medical journals. If you want your rhinoplasty, whether open or closed, performed by one of the world’s leading facial plastic surgeons, contact Dr. Binder’s office today to schedule your consultation.